Dr. Gopi A is a renowned Cardiologist in Cunningham Road, Bangalore. 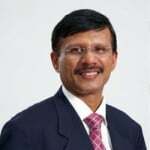 He is currently associated with Fortis Hospital - Cunningham in Cunningham Road, Bangalore. Book an appointment online with Dr. Gopi A on Lybrate.com. Lybrate.com has a number of highly qualified Cardiologists in India. You will find Cardiologists with more than 33 years of experience on Lybrate.com. You can find Cardiologists online in Bangalore and from across India. View the profile of medical specialists and their reviews from other patients to make an informed decision. Heart Attack Or Panic Attack - Know The Difference! The bottom line: Be vigilant and get checked out promptly. Which Lifestyle Changes Should You Follow After An Heart Attack? If you had suffered a heart attack recently, it is quite natural to for a patient to feel weak as the heart goes through a tremendous amount of stress during the condition. So, it is very important for a heart patient to know the things that will help you them recover from it. A healthy diet is the first step towards the recovery. A proper diet can not only help you recover quickly, but you won’t suffer from a second attack too. So, to recover and get back to your daily lifestyle, you must keep these foods in your daily diet. Lifestyle Changes To Reduce Cholesterol! There is no fixed definition for the best diet. It solely depends on the health condition, requirement, and restrictions of a patient that a diet can be planned that can help deal with or prevent a particular health threat while ensuring overall good health. Cholesterol is becoming a widely known threat responsible for inflammation and forming blood clots which may lead to strokes and heart attacks. Since it is a growing concern, it is recommended the patient follows a proper diet that can help in keeping the cholesterol level in the blood under control. To make such a best diet, below are few necessary and practical tips. One must remember that the saturated fat found in the dairy products and red meat raise the level of the bad cholesterol or LDL, instead of reducing it. Receiving around 7 percent of the regular calorie need of the body is necessary from saturated fats. Therefore, one needs to opt for healthier saturated fats, such as canola or olive oils, monounsaturated fat products, low-fat dairy products, etc. Trans fats are known to increase the bad cholesterol(LDL) and reduce the good cholesterol (HDL). Therefore, eliminating sources of trans fats from one's diet will automatically contribute to keeping the cholesterol levels under control. Usually, it is the fried foods, various commercial products such as snack cakes, crackers or cakes, junk foods that are filled with trans fats and must be avoided. Including protein-rich foods in your diet has found to be a good way of reducing LDL or low-density lipoprotein and maintaining a balance in the overall cholesterol production inside the body. Therefore, including foods like ricotta cheese, yogurt, cereals, oatmeal, etc., each of them being rich in protein, can be a smart way of making one's diet more heart-friendly. Heart Attack - Silent Signs Your Body Is Giving You! A heart attack can wreak havoc, throwing a person's life completely off balance. The condition, also known as Myocardial Infarction, often catches a person unawares. As per a survey, close to 7.35 lakhs people (both men and women) suffer from a cardiac arrest and associated disorders in the US every year. Early diagnosis and preventive measures can make a world of difference. Unfortunately, many people ignore or tend to miss out on the early symptoms characteristic of a heart attack. A heart attack can be very much averted. All you need to do is, listen to your body and pay attention to the following warning signs. Act before it is too late. Indigestion, nausea: Nausea, vomiting or indigestion is important, yet most commonly ignored early symptoms of a heart attack. More common in women than their male counterparts, the symptoms are often mistaken for over exhaustion or stomach upset. Nausea, in particular, can be triggered by many conditions and hence the negligence. A person may also complain of stomach ache or heart burns.Though the symptoms may appear to be nothing serious, seeking an immediate medical assistance will not hurt either. A little alertness will only help you in the long run. Pain and discomfort in the chest: This is a warning that should be taken seriously by all means. The symptom can be an indication of a condition as serious as a blocked artery, an important trigger for a heart attack. Dizziness: Seldom will you find people losing their sleep over something as common as dizziness. While the lack of a sound sleep can make a person feel dizzy and light headed, the symptom (often accompanied by chest pain) could also be an outcome of a low BP (triggered by improper functioning of the heart). Look for the symptoms carefully and act accordingly. Sharp pain episodes: Many people experience a sharp pain that originates in the chest and gradually spreads outward towards the arms. The symptom is a clear indication of a heart problem, ignoring which will only spell doom. Sometimes the pain can also spread to the jaw or the throat.The symptom is a strong warning that your heart needs immediate care and attention. Sudden and unexplained sweating: Sweating due to hot and scorching summer is understood but unexplained sweating can be dangerous. Over exhaustion: If small or regular chores that you could do in the wink of an eye are suddenly leaving you tired and exhausted (climbing the stairs for instance), it is time for you to consult a doctor. Irregular heartbeat: The irregular beating of the heart can also be an indication of a heart problem. Swollen feet: A heart problem can interfere with the ability of the heart to pump blood. As a result, the affected person may have swollen feet, ankles, and legs. Cough: A cough that lingers for long (often accompanied with a pink mucus) is an important indication of a damaged or diseased heart. Cardiac Arrest And Heart Attack - Understanding The Difference Between The Two! The news of Sridevi's sudden and unexpected demise was a shock for the entire nation and left a number of questions in the minds of the people. However, there are multiple reasons which are under speculation and can be attributed to her death - cardiac arrest, heart attack and death due to accidental drowning. Usually, cardiac arrest and heart attack are two things which most people use interchangeably, however, there is a big difference between the two. A cardiac arrest is far deadlier considering that it comes without a warning or any prior indication of a problem. Here, the heart just stops beating and immediate first-aid can make a lot of difference between life and death. Electrical shock is the best way to revive a patient and should be given within a few minutes of such an arrest. On the other hand, a person suffers a heart attack when there is a blockage in the artery which prevents the smooth flow of oxygen-rich blood from reaching the heart. It is important to note that unlike a cardiac arrest the signs of heart attack start slow and persists for long. A heart attack is one of the common causes of cardiac arrest, but not always it is the case. A cardiac arrest happens most commonly when the heart is receiving more than 300 impulses per minute or due to absent electrical impulses. In the first instance an electrical shock is a lifesaving technique and in the second, the patient can be treated with certain medications and a temporary pacemaker. The symptoms of cardiac arrest are immediate and extreme. What makes this a deadly condition is that you cannot tell your risks of having one and therefore the next best thing to do is to lower your risks. Now that the distinction is clear between the two, it is recommended that everyone should get themselves screened for potential heart problems on a regular basis. In case of a query or concern consult an expert and get your answers. Hereditary Heart Diseases - 5 Ways To Deal With It! It is not just the skin or eye color that you inherit through your genes, it is also the chances of you having a heart attack. It has been proven beyond doubt that if heart diseases run in your family, then you are very likely to develop them too. Another worrying factor is that there are a whole lot of heart diseases which are hereditary, not just an isolated condition. Whether it is congenital heart disease (which is present at birth) to atherosclerotic (which is usually associated with ageing), all of them are hereditary. If that worried you, there is good news. A family history definitely puts you at risk of developing heart disease, but it is all in your hands to overcome this risk and even completely eliminate it. Read on to know more! Eat right: A healthy diet is the single most important contributor to your health. If your diet is rich in fiber (whole grains, vegetables, fruits), rich in omega-3 fatty acids, reduced hydrogenated and trans fat, it works wonders for your heart. Stay away from processed and packaged foods and eat fresh as much as possible. Eating seasonal fruits, taking vitamin supplements if required, using olive oil, and drinking green tea goes a long way in improving heart health. While these are good options for anybody, if you have a family history of heart disease, these become almost mandatory. Exercise: In addition to the processed and junk foods, lack of exercise is another accelerator for heart disease. Pick up a form of exercise you enjoy and see the difference. Be it walking, cycling, jogging, or hitting the gym, work out a regimen that suits you and consistently work at it to see the best results. Smoking: Smoking is one habit which damages the body in multiple ways. If there is a family history of heart disease, this accelerates the onset very rapidly. So, quit smoking to prevent the onset of heart disease. Alcohol: This gives a quick high, but damages your life in the long run. In addition to the alcohol per se, the accompanying foods are also a major culprit (fried and oily). Stress Management: Stress is believed to the accelerator for heart disease, so if there is a family history too, it definitely needs to be managed. Unwind and see the difference. Meditation or music, exercise or enjoying with friends and family, pick your way to unwind. So, while you may have inherited the chances of developing a heart disease, the above measures can help you prolong onset, and if done religiously, prevent heart disease too. Hi ,I have high cholesterol 260, LDL 200, having normal ECG, but feel swelling in foot while working, excessive sweating while eating. Please suggest about heart. Hi, Your cholesterol levels are quite high and is likely to need medications in addition to life style changes like regular exercises and fat restricted diet. You could consult a doctor for further advice about the medications. I am buying medicines for my father as prescribed by doctor. I wanted to know whether it is safe to give medicines which are similar to prescribed medicine but cheaper? For instance instead of Rozavel 10 (cholesterol) which is the prescribed medicine, can I give him Rosumac 10? Please reply. Hi I think it is perfectly fine to substitute medicines of cheaper brands provided they are also from a reasonably established and preferably a long standing pharmaceutical company. Can not vouch for the quality of medicines from small new unknown companies. Thank you, hope that answers your question. Dear Dr. Good Morning. I have had angioplasty performed on me in March 2017. Have been taking prasugrel 10 mg daily. For last two months dark blue patches have emerged on my left arm and abdomen. They pain. Stopped taking Prosudec 10 for last three days. Pain has begin to emerge in my heart. What should I do. Presently I am much away from any cardiologist. Please guide. Thanks 59 years. Hello, since it has been less than 1 year since your angioplasty it is very important that you take your proper dose of blood thinners and prasugrel is one of them the other being aspirin. So would advise you not to stop prasugrel as there is a risk of the stent getting blocked. However it appears that you may be having bleeding in to the skin (dark blue patches) hence may be advisable to change from prasugrel to a less powerful blood thinner. Please contact your regular cardiologist/ physician for the same and they will able to help you with an alternative medicine.